At Auto Medics, we like to think we offer the whole package, quality repairs, value for money and superior customer service. As our existing customers know, we take a great deal of personal interest in making sure our car body repair shop customers receive outstanding service at competitive prices. However, we are also aware that car repairs up and down the country are rarely as low cost as everyone would like them to be, which is why our offering revolves around quality and service also and we endeavour to provide a service that is convenient to our customers, with offerings of free courtesy cars where available and minimal repair times. We are confident you won’t be disappointed in the high standard of quality car repairs the Auto Medics team delivers. Operating from our fully equipped body shop in High Wycombe, we complete jobs, large and small, to the highest possible standard within efficient delivery times. We can boast that our customers come from far and wide for the quality service and friendly customer service we offer when they bring their cars to us. Just today we had a Lamborghini in from outside the High Wycombe area for all four wheels to be refurbed in gloss black. But Lamborghini or Fiesta, we hope you understand that our resolution to you is not to simply offer you, our customers competitive prices but also the highest level of service and exceptional quality to ensure your car is presented in the pristine condition you desire. We resolve to be on hand to discuss the issues you know we can help with concerning your motor, so feel free to contact us on 01494 533 534 or simply drop in. The majority of vehicles on the road today have headlight lenses made from plastic, which is vulnerable to poor road and weather conditions and can result in cloudy headlights. While the aesthetic appearance of cloudy headlights might only bother those fanatical about their motors, misted headlights can also pose a safety risk, with light output reduced by as much as 95%. There are many factors, from UV rays to fumes that take their toll on the headlight lens that results in cloudiness, which limits visibility and can make your vehicle unsafe to drive as darkness falls. 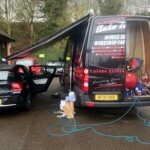 why Auto Medics, car body repair shop in High Wycombe, offers the more cost effective solution of headlight polishing. The process is designed to clean and polish your headlights to eliminate cloudiness and discolouration and to provide increased visibility at night. For more information about headlight polishing in High Wycombe get in touch with Auto Medics by getting in touch with us on 01494 533 534, you’ll certainly find the process a lot more cost effective than replacing your headlights with new ones. At some point in time most car owners are going to find a scratch or dent on their car. Auto Medics, car body repair shop High Wycombe, are here to offer you a few tips to help you avoid sustaining minor damage to your vehicle. If you have a garage it’s advisable to park in it overnight, rather than park on the road, to avoid damage from other cars or passers-by. Ensure equipment inside your garage is well secured and unlikely to fall and scrape the paintwork of your vehicle. When parking in public car parks choose a quieter area of the car park, where there’s reduced traffic flow to improve your chances of avoiding door dings or scrapes from passers-by. Never park to close to other vehicles; always ensure there is enough room either side of you for drivers and passengers to get in and out of their cars. Check out what the car next to you looks like. If there’s noticeable damage to the car, it might indicate that the driver does not take pride in their vehicle, therefore you might want to consider parking elsewhere. 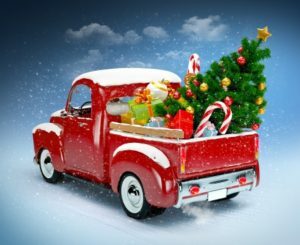 Avoid getting too close to the side of the road when driving down narrow roads to avoid scratching your vehicle on stray branches or overgrown hedges. Scratches can happen when keys, handbags or clothing items such as zips, jewellery, buttons and belts scrape the paintwork of your car, so avoid getting to close when wearing these items. Regardless of the measures you take to protect your car from sustaining minor damage, sometimes accidents do just simply happen. 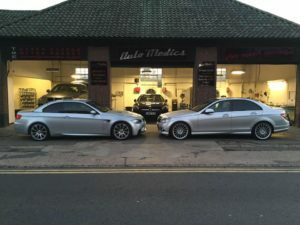 Not to worry, Auto Medics, car body shop High Wycombe, are equipped to remove dents and scratches from your paintwork and restore your car to its former glory. Get in touch with us today to find out more information about the range of services we offer to have your car looking as good as new. Call 01494 533 534 today to speak to a member of the highly skilled Auto Medics team.